Categories (list of works cited – preliminary); [BKG Note: about 2040 Pope cites in 1755 Dict. vol.1, about 2200 Pope cites in vol.2. Most of the quotes from the following works are from varioius editions of The works of Alexander Pope, Esq, London, published 1736 to 1739. In The Younger Johnson's Texts of Pope, The Review of English Studies, 1 May 1985, Vol.36, pp.180-198, Treadwell Ruml concludes that for most of the Dict. 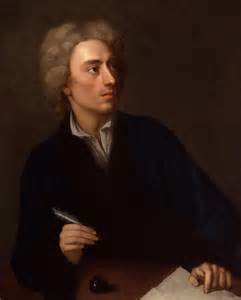 quotations of early Alexander Pope works "... Johnson used the third (1720) or, more probably, the fourth (1722) edition of Lintot's Miscellany." (See Betterton for other possible quotes from the Miscellanies.) In the RES article, Ruml points to the Motte 1733 Miscellanies for a number of Pope quotations. Ruml also provides extensive information on the Works quotation sources that are cited only as "Pope." Item 271 in the Sale Catalogue of Samuel Johnson's Library is "5. volumes of Pope's Works."] The non-italicized titles below are listed in the Freed 1939 Dissertation.